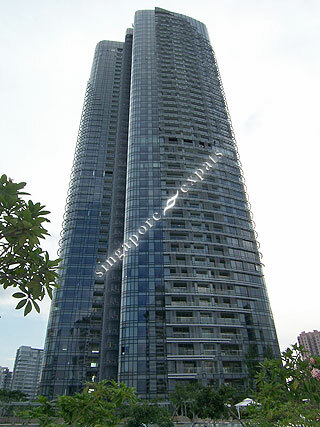 The Orchard Residences is a prestigious condominium located along Orchard Boulevard, atop of the Orchard MRT Station and Ion Orchard Shopping Mall. Only at The Orchard Residences, where one can truly enjoy 75,000 sq ft of club facilities including swimming pools, spa, gymnasium and a lavish party house. The interiors of each apartment in The Orchard Residences are adored with designer fittings and fixtures. From internationally renowned Italian furniture makers, the Poliform wardrobes are minimally sleek yet distinctively detailed. Borne of design greats such as Paola Piva and Carlo Colombo, the Poliform collection is sophisticated, sharp, and imbues a residence with a timeless aesthetic. In the kitchen, stylish prestige meets German design perfection. From highly-durable laminates to individually tailored workspaces, ergonomics is at the heart of every Poggenpohl kitchen. The Sub-Zero wine cooler, handcrafted to precise tolerances with two distinct storage zones, stores both your reds and whites in a single environment. Located below The Orchard Residences, thousands of shoppers, commuters, diners, and visitors are going about their day, an entire city at your feet. It is on Orchard Road that locals gather to celebrate, on Orchard Road that the world's luxury brands set their flagship stores, and on Orchard Road where one enjoys a myriad of the nation's diverse cuisines. With its outstanding location, The Orchard Residences is situated within close proximity from clubs such as The Tanglin Club, The Pines Club and The American Club. Good schools and educational institutions such as Raffles Girls School, International Singapore School (ISS), Overseas Family School and Chatsworth International School are also located nearby. The Orchard Residences is accessible via the nearby Central Expressway (CTE). Travelling to Singapore's Central Business District (CBD) is quick and easy via the Orchard MRT Station located below. Excellent location with easy access to shopping and transport!! Beautiful swimming pool and surroundings!! Like the Ritz Carlton in Orchard!! Good location, pleasant staff, but when things get broken they don't get fixed. For example the jacuzzi has been broken for almost 6 months. Also, sometimes there is a strong sewage odor even on high levels. Too many absentee owners who don't care about whether amenities are working so maintenance is poor.